For other meanings, see Konin (disambiguation). Kōnin (弘仁) was a Japanese era name (年号,, nengō,, lit. "year name") after Daidō and before Tenchō. This period started in September 810 and ended in January 824. During this time, the emperors were Saga-tennō (嵯峨天皇) and Junna-tennō (淳和天皇). 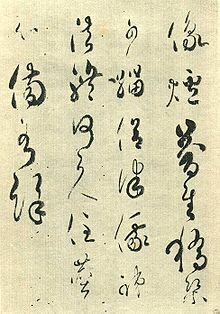 812 (Kōnin 3): Official commentary on the Nihongi was written. 820 (Kōnin 3): Legal code was re-written in 50 volumes, including all laws since 701. 30 May 823 (Kōnin 14, 17th day of the 4th month): In the 14th year of Emperor Saga's reign, he abdicated. The succession (senso) was received by a his younger brother. Soon after, Emperor Junna accepted the monarch's role and duties and powers (sokui). This was confirmed in ceremonies. ↑ Nussbaum, Louis-Frédéric. (2005). "Kōnin" in Japan Encyclopedia, p. 557. ↑ Nussbaum, "Saga Tennō," p. 804; Titsingh, Isaac. (1834). Annales des empereurs du japon, pp. 97-102; Brown, Delmer et al. (1979).Gukanshō, pp. 280-282; Varley, H. Paul. (1980). Jinnō Shōtōki, p. 151. ↑ Nussbaum, "Junna Tennō," p. 437; Titsingh, pp. 103-106; Brown, pp. 282-283; Varley, p. 151-152. ↑ Nussbaum, "Kōnin shiki" at p. 557. ↑ Nussbaum, "Kōnin kyaku-shiki" at p. 557. ↑ Titsingh, p. 102-103; Brown, pp. 282. ↑ Varley, p. 44; a distinct act of senso is unrecognized prior to Emperor Tenji; and all sovereigns except Jitō, Yōzei, Go-Toba, and Fushimi have senso and sokui in the same year until the reign of Emperor Go-Murakami. Compare Imperial Household Agency (Kunaichō), Ceremony of Accession (Sokui-no-Rei); retrieved 2011-12-27. This page was last changed on 24 November 2018, at 00:12.